Most people over forty have some damage to their teeth, however carefully they have been looked after: post-war eating habits have a lot to answer for. The effort of conserving them is still well worth while and can save a lot of pain and expense. If nothing else, it sets up an example for children, and a cautionary tale. Your teeth are probably well filled in the places most commonly attacked in a wrongly nourished childhood — the crowns of your back teeth and in the crevices between and behind them. Unfortunately there are still plenty of places where food residues will build up into plaque, if you let them. Any reliance on soft, refined or sugary food makes this possible, and inadequate daily cleansing with brush and dental floss confirms the possibility. Besides this, your existing fillings will not last forever. They wear and loosen over the years, which allows liquid to leak underneath. Eventually it may become uncomfortable, or your dentist may spot that the filling is loose and can replace it. The sooner this is done the less damaging it will be, and the more likely it is that your tooth can be saved — dentures are a very poor substitute, as you may already have discovered. Teeth neglected long enough can develop an abscess around the root which is one of the most painful conditions you can experience. This may happen with untreated tooth decay or under a leaky filling. Up to the point where an abscess forms it is usually possible to root-fill the tooth, which kills it but makes it completely pain-free and safe. Once an abscess forms it can be drained and root-filling attempted, but it is much more likely that the tooth will eventually have to come out. The conclusion is obvious — do not wait for pain, have your teeth checked regularly and keep them carefully maintained. It may however be your gums rather than your teeth which give you the most obvious trouble. They tend to recede from the enamel of your teeth, especially if an incrustation of tartar is allowed to build up there, or you scrub your teeth indiscriminately. Tartar (calculus) is a deposit on your teeth like fur in a kettle; it is somewhat protective against caries, but very unsightly and sets you up for gum disease. Bad brushing peels back your gums and exposes the dentine underneath the enamel which is then easily damaged by caries and can become very tender and sensitive to heat. Worse still, the edges of your gums may become infected and therefore inflamed. This is gingivitis, which makes gums very fragile and liable to bleed. Bleeding gums do not always swell and, to start with, you may not notice the problem. It will force itself on your attention eventually, however: you may, for instance, start to notice blood on your pillow. Later your worst affected teeth will loosen and come out. Gum disease, not caries, is the principle cause of tooth loss. Fluoride does very little for teeth, and may accumulate harmfully in bones. On balance avoid it and rely on the following. 1. Learn to brush and floss your teeth properly by attending a dental hygienist. Your dentist may employ one at his surgery, or will be able to direct you to an appropriate Community Health Clinic or Hospital Department. Then do it at least daily. Don’t forget your back teeth just because they don’t show when you smile. 2. Use a good toothbrush: A medium hard, fine filament toothbrush is good. 3. Employ good brushing technique: Brush up from the gums of your bottom teeth and down from the gums of your upper set. Friction is the important factor. Do not be violent and don’t brush from side to side: that way you miss the crevices between your teeth — floss is more thorough there than brushing. 4. Tune up your diet for optimum health. Teeth are your front line: they are the first to be affected by poor food, but the first to benefit when you improve it. Sugar and sweets in particular provide the essential breeding-ground for most dental problems and bad breath. If you have a sweet tooth, there are many fresh and dried fruits and nuts that combine sweetness with self-cleansing fibre; eating these instead is good for your teeth and everything else. 5. Get your teeth checked by a dentist three times a year. He or his hygienist will be glad to scale and polish them at the same time if you wish, which removes tartar and helps prevent gingivitis — apart from improving your smile. Do not attempt to remove tartar yourself — it must be removed professionally. 6. Healthy dentures matter. If you have dentures, maintain them carefully or you can still get gum infections and bad breath. 7. Visit your dentist regularly during pregnancy. Pregnancy heightens your sensitivity to gum disorders. 8. Visit your dentist when you experience problems. If you get toothache or are very sensitive to temperature or pressure — get a dental appointment soon. Don’t wait until the pain becomes disabling: treatment is less likely to be straightforwardly successful when you are run down. 9. Take care with existing fillings. Heavily filled teeth can be highly sensitive if you are run down or under pressure, even if they are not decayed or worn. Clean the affected teeth carefully and thoroughly, and take some extra Vitamin B Complex for a week or two. Receding gums also make teeth tender. 10. 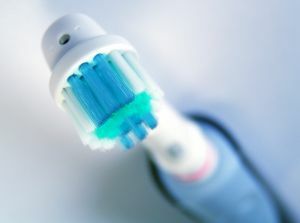 Toothpaste does very little for healthy teeth, but sensitive teeth may benefit from regular use of a strontium-based paste; Sensodyne is the best known. Choose the fluoride-free version. 11. Sinusitis can mimic toothache exactly. 12. Some dentists warn against the dangers of mercury fillings, which leech into your general circulation and accumulate poisonously in some people. The remedy is to replace all mercury with alternative materials, but this is expensive and may make any problem worse temporarily. The best plan is to replace leaky or sensitive fillings with better materials, one by one.